Matthew Mayfield has never been one to shy away from a challenge. He's quite the unpredictable artist and has been consistently releasing material ranging from haunting acoustic ballads to gritty, southern rock'n'roll since 2008. The Birmingham-based songsmith describes his sound as "a bipolar musical disorder," which seems to fuel his fire for the creative process. 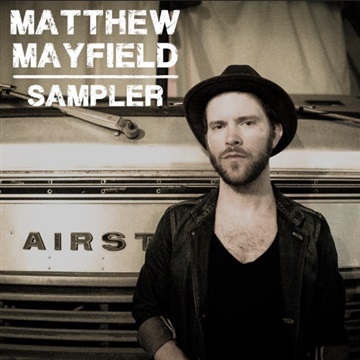 His latest LP, entitled Wild Eyes, is a vast departure from his last full-length album (2012's A Banquet For Ghosts), but still maintains Mayfield's signature sound as well as an evident passion for his craft. "I knew I wanted to explore some new places in terms of the sonics," he says, "but I wasn't quite sure how to get there. There's never a map when I get in the studio. It's gotta feel a little reckless to keep me excited." Most of the tracks on the album were produced by Bill Lefler (Ingrid Michaelson, Dashboard Confessional) in a small studio in the heart of Los Angeles' Koreatown. "Being in LA and working with Bill was exactly what I needed. As soon as we hit record, everything started to click and the all the question marks suddenly disappeared," Mayfield says. Wild Eyes is ten tracks of hook-laden choruses, soaring vocal performances, and songs carved straight from the heart. It is an album that showcases sides of the artist that have never been heard before. 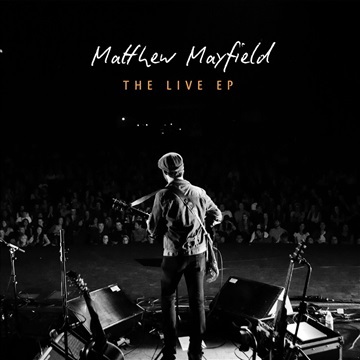 Songs like 'Ride Away' and ''Wild Eyes' reveal Mayfield's knack for pop-sensibility, while 'Why We Try' and 'Settle Down' expose the artist's vulnerability in a fresh, uplifting way. "I never want to deliver anything short of passionate, convicted performances whether I'm in the studio or I'm on stage." he says. "I wrote these songs in a number of different head spaces, and I wanted all of them to make an appearance on the record. It's unfair to limit yourself in any creative setting, and once I realized that, all bets were off. I was suddenly doing things that sounded fresh, without having to make any compromises in terms of artistic vision."